Starting a company is lonely, and scaling it is even harder. During our own journeys of building and scaling our companies, we longed for a trustworthy community of knowledgeable peers that we could turn to during the hardest times. Friends who we could celebrate with. A community we could belong to. It didn’t exist back then. But we’re glad to say that it does now—for you—at SEA Found.ers. SEA Found.ers is powered by Found. With a proven track record of providing businesses the right solutions and networks for the past 6 years, Found. is home to Singapore's largest community of innovators. Peng T. Ong was the co-founder and CTO of Match.com (acquired by IAC). After Match.com, he was the founder and CEO of Interwoven, which went public on NASDAQ and grew to a $10B market cap, before being acquired. He is the current managing partner of Monks Hill Ventures. Grace Sai is regarded as the node of entrepreneurship ecosystem in Asia and speaks widely on that topic. She is an Entrepreneur-in-Residence at INSEAD and a Kauffman Fellow. Grace also has an MBA from University of Oxford, where she graduated with Distinction (Skoll Scholarship). Tomas Laboutka is a serial entrepreneur and leader who is passionate about innovating and shaking up industries. Over the course of the past decade, he has built and scaled four ventures, including Hotel Quicky. So-Young Kang has nearly 20 years of experience advising leaders globally and is a sought-after speaker across US, Asia, Middle East and Africa on various topics across leadership, innovation and transformation. Each of SEA Found.er’s events are designed to give you the space to be vulnerable, honest, and open. Our Master Classes and Local Forums help you connect, reflect, and collaborate with fellow founders who are dealing with similar problems. But our community isn’t just for problem-solving--we offer personal support and intimate guidance, too. Our Master Classes are weekend-intensive excursions held every 3 months all over South East Asia. You’ll build a network with global tech leaders, each with a rich library of experiences for you to learn from. Every Master Class is carefully designed to include guided sessions and intensive Q&As with speakers. In between sessions, you’ll taste the best of each city’s cuisine while discussing insights with your peers. Our community stays intimate with small groups (4-6 founders). We meet once a month for three hours at a time, setting dates six months in advance as part of our mutual commitment to the community and to each other. By sharing personal updates and business developments within a structured agenda, we build intimate, reliable connections that last for lifetimes. 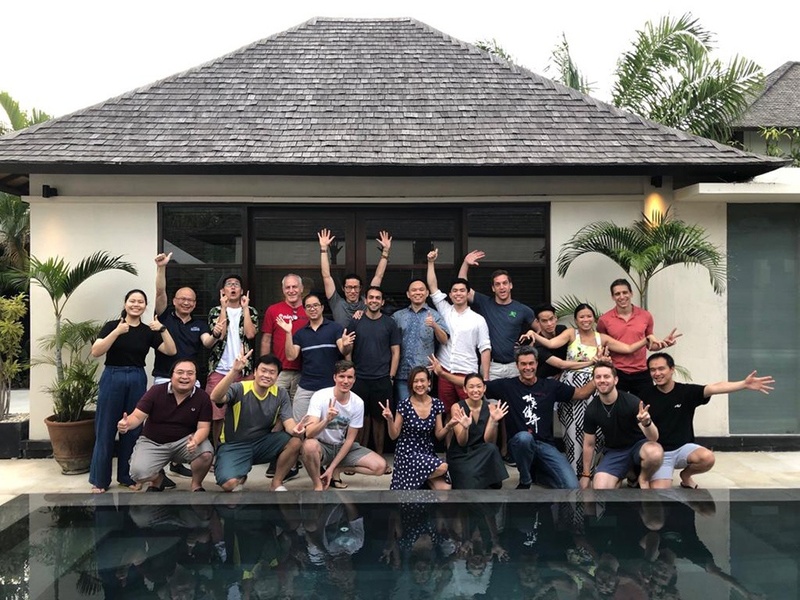 The Founders’ Coaching Pause (FCP) is a 3 day entrepreneurs' leadership program for entrepreneurs to take a moment to pause and focus on their “why” – both by being a coach and learning how to coach. In other words, how to turbo-charge the most important resource of a company: People. The program gives founders like you a chance to reflect on how your values connect with your leadership agenda.